Paul Theroux presentation a hit! American writer Paul Theroux presenting to the Angola Field Group. Photo by M. Vieira. 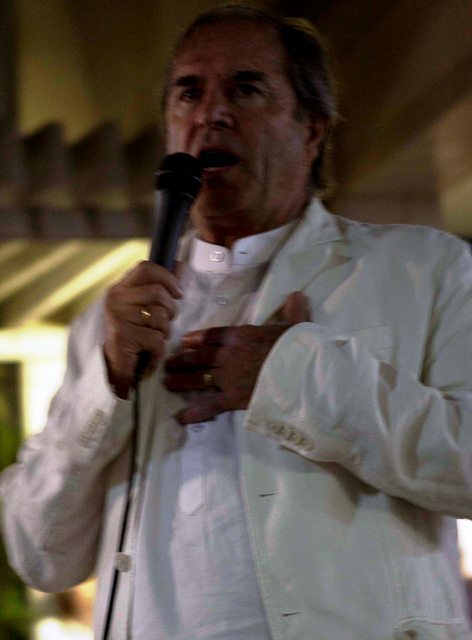 A crowd of about 200 fans of Paul Theroux listened as the well known travel writer talked to the Angola Field Group about being a writer and his impressions of Angola. Mr. Theroux crossed the hectic border from Namibia to Angola on foot and then hopped a bus to travel overland with Luanda his final destination. Much of this country reminds him of the Africa of 40 years ago with people living in grass huts and walking to their fields to work their fields. He emphasized that there is hardly anything written about Angola, at least in English, and so during the Q & A, he asked Angola Field Group members to tell him something interesting about Angola. Will he write a book about this country? 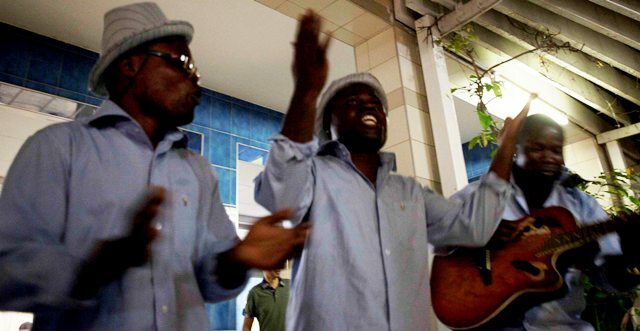 While he finds Angola interesting, he said there is much yet to learn about the country. Also it is an expensive country and no editor in New York City could afford the airfare to have a journalist come and spend time researching a story, according to Mr. Theroux. From Luanda Mr. Theroux flew home to Hawaii to join his wife and tend his bees. Mr. Theroux meets the Disciples. Photo by H. Koning.